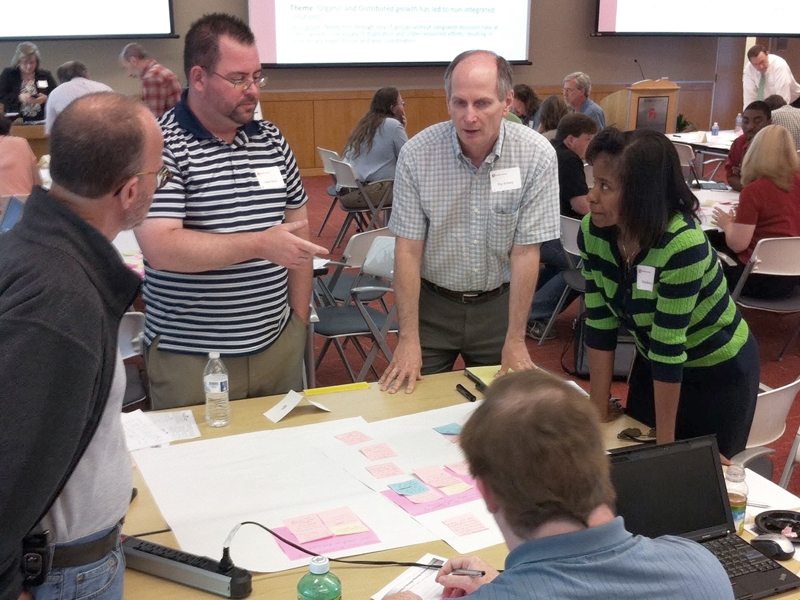 They were asked to develop NC State's first Information Technology Strategic Plan. 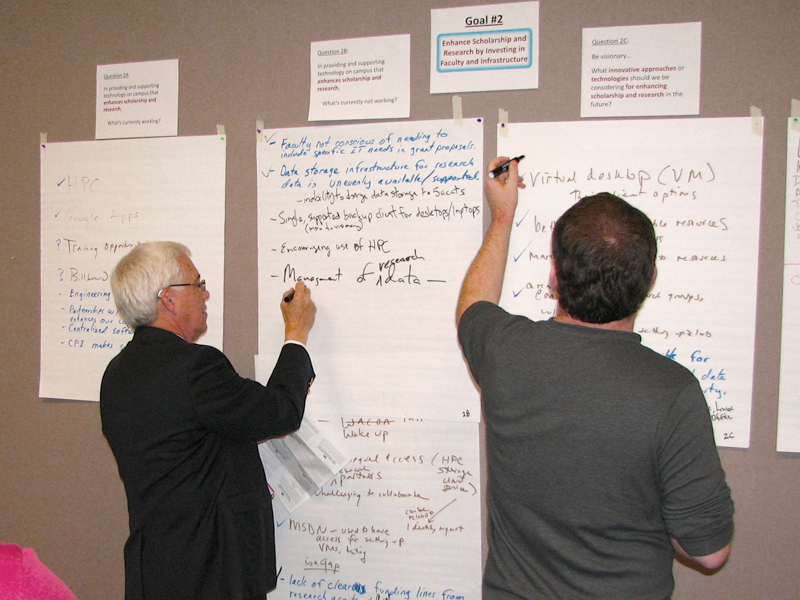 They were asked to provide a vision and framework for how the IT environment could strengthen the university. They were asked to facilitate, guide and collaborate. They did all that and more. 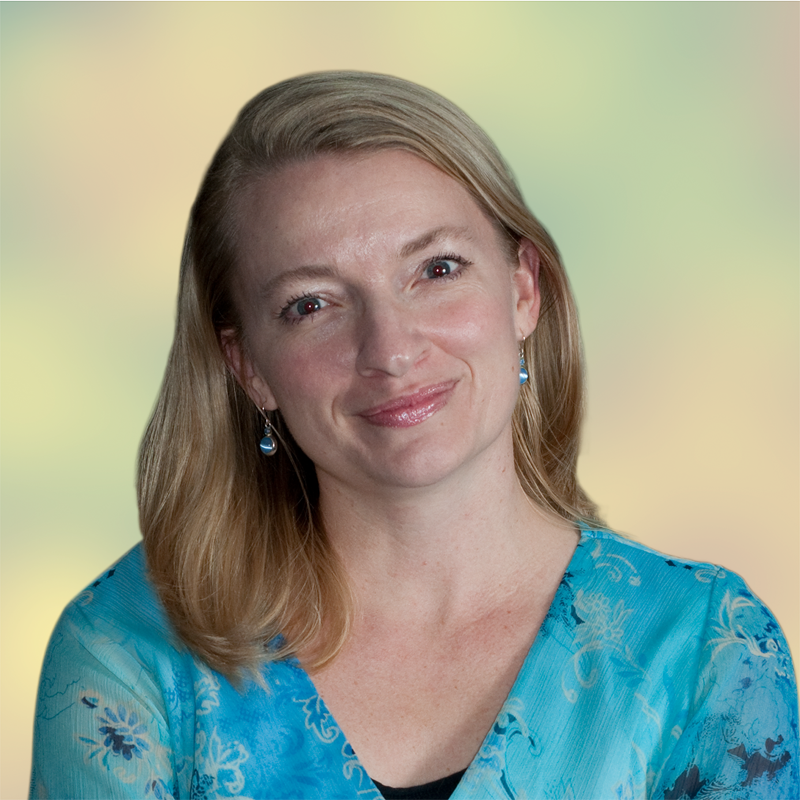 When DELTA's Dr. Donna Petherbridge and her six colleagues on the IT Strategic Planning Process Steering team kicked off in January 2013, they faced a mountain of challenges. For years, IT pockets across campus had worked independently, with little sharing of resources, direction or any knowledge of each other. The IT Strategic Plan set out to change all that. But first, the Process team had to build a sense of community. During the 18-month planning process, the Process team brought together more than 500 stakeholders across campus in focus groups, large-scale planning sessions, committee meetings and presentations. 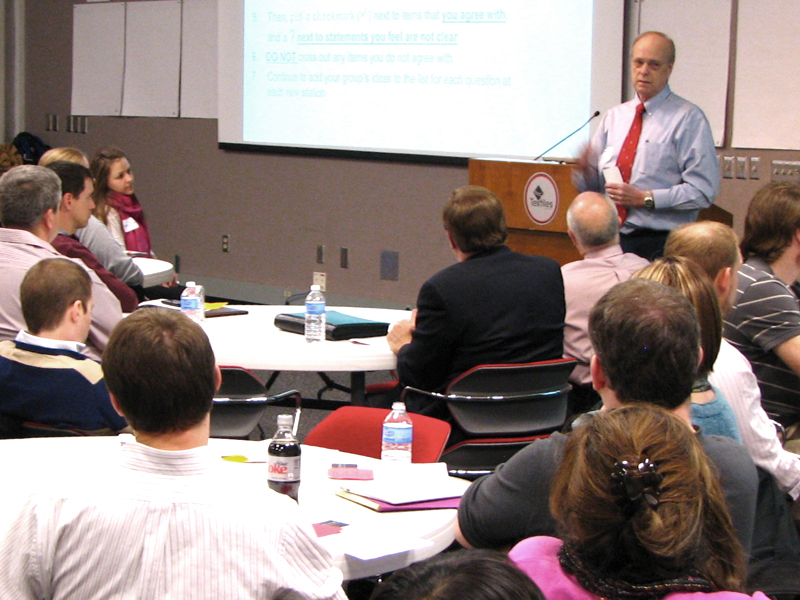 They sought ideas and feedback from faculty, staff, administrators and students. They leaned on existing IT governance committees and subcommittees for themes, goals and strategies and tactics. "The organizations across campus are struggling with similar issues," said Petherbridge, DELTA's associate vice provost for Instructional Technology Support and Development. "No single group owns an issue. We have a lot more common ground than we realize sometimes." Stan North Martin, director of OIT Outreach, Communications and Consulting and member of the Process team, saw a remarkable shift in NC State's IT community during the planning process. "There has been a coming together of IT folks on campus to say we have to do a better job of sharing our resources, collaborating more effectively, and leveraging the incredible intelligence and value that different groups on campus bring to the mission of the university," said Martin. The Process team led the IT community in identifying a set of guiding principles, which would serve as a guide to everyone at NC State making IT decisions. These principles, Petherbridge said, are the philosophy behind how IT staff should work together and they should be clear in every project that they do. They speak to collaboration, transparency, innovation and efficiency, to name a few. Petherbridge has been a vocal champion for the collaboration focus of the plan. "Collaboration is not an easy thing to do if you do it right," said Petherbridge. "Collaboration is about wrestling with ideas and talking to people and going back and forth. It's not easy, but it's worth it." Common themes began to emerge, and from those themes the Process team pulled out strategic goals, which they grouped into three main areas: innovate, manage, collaborate. Those goals led to strategies, ranging from deploying tools in data analysis to creating IT spaces that inspire innovation. DELTA staff, like other campus departments with a stake in the results, were closely involved in every piece of the plan. In addition to Petherbridge's leadership, other DELTA staff members were active in strategic planning through their positions in established governance and committee roles. Though representing DELTA, staff caught the momentum of a community coming together. "This entire strategic plan was not about OIT or DELTA or the Libraries or any one college or division," said Petherbridge, "but about the campus finally saying, all of us need to have an IT plan that strategically all of us can buy into, that we map all of our thinking towards, and each individual division has to have their own goals and strategies and tactics to get there." In March 2014, the Process team completed their mission and released Partners in Innovation: A Strategic Plan for IT at NC State, 2014-2020. The plan, which is in the early stages of implementation, closely aligns to the NC State Strategic Plan and will serve as a foundation to drive the university's IT over the next six years. However, the Process team is most proud of the shift that their community has made in how they work together. "The process is the product," said Petherbridge. "You have to go through the process of getting people to think together, and that doesn't mean that they think alike. You need different ideas and views to help guide the collective journey."